The most popular range of mattress solution today with Coirfit being one the first ones in late 90's to develop this durable material packed with Rebo-Tech advantage. A unique science of compressed granualar construction of the active bond material that enhances firmness and strength for added support, long-lasting comfort and durability. Size any size as per requirement. Coirfit Beetle: Isse Sasta Kya! : A 4" Inches economical mattress that gives you good night sleep everyday. With our rapidly growing organization, we are enthusiastically affianced in providing a wide array of Beetle Mattress. This mattress is designed using high quality foam and contemporary machinery under the guidance of our adept professionals. Provided mattress is accessible in numerous thicknesses and other related specifications as per the needs of our honored clients. Care Instructions Do not fold the mattress. Rotate and flip the mattress every 3 months. An essential mattress in the active bond series that is both durable and comfortable, giving a good night sleep after a long day at work. The mattress combines the best of sleep science and material to bring you luxury. The granular bonded construction of the mattress adjusts with the surroundings and keeps the user comfortable in all weathers. Active Bond base ensures that you have the most ergonomic, comfortable sleep. With assistance from highly qualified and experienced professionals, we are occupied in offering a huge range of Recharge Mattress. Widely used in several places for good sleep and relaxation of body, offered mattress is designed by our diligent professionals using cutting edge technology. This mattress is available in different sizes and thicknesses. Beside this, clients can purchase this mattress from us at feasible prices. This mattress combines the best of sleep science and material to bring you luxury. The granular bonded construction of the mattress adjusts with the surroundings and keeps the user comfortable in all weathers. Active Bond base ensures that you have the most ergonomic, comfortable sleep. We are ranked amongst the foremost firms, engaged in offering a qualitative range of Marvel Mattress. 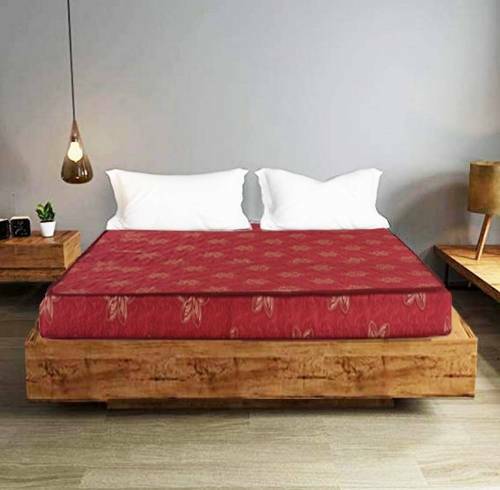 Offered mattress is designed by our domain-experts using high quality foam and latest machines in tune with the international quality standards. This mattress is widely demanded in several sectors, owing to its softness. Our clients can buy this mattress from us in different sizes. An economical matress in its segement . The active bond material of the mattress keeps the bounce alive for years. It comes with one side drill fabric quilted cover. Its anti-allergic and mite free. This mattress is used in numerous places like hotels, hostels, homes and others. Offered mattress is designed by our adroit professionals using advanced machines. Accessible in numerous sizes and thicknesses according to clients' needs, this mattress is very much cherished for its high quality amongst clients. The Coirfit Spinefine Plus Bonded Mattress is designed to offer the best blend of support and comfort. It is filled with bonded foam and covered by a printed quilted cover, which is soft. The inner shell of the mattress is a durability layer, which is covered by comfort layers on both sides. This 4-inch thick mattress is suitable for those who have spine stiffness. This Coirfit mattress is anti-allergic and mite free.